Every time he sees a lemonade stand, 6-year-old Christopher DeMuth III has to stop and buy a cup. In fact, he loves lemonade so much that he decided to join the business. "I really like lemonade, and I asked my dad if I could start a lemonade stand myself," Christopher said. The soon-to-be West Elementary School first-grader is taking the idea so seriously that he created a page on Kickstarter.com to collect money to launch the business. He has also decided to donate 10 percent of the profits to the New Canaan Library. Although his father, Chris DeMuth Jr., is helping his son launch his first business, Christopher is the one making the decisions. "We always stopped wherever kids had lemonade stands and he seemed to get more and more interested in getting one himself," DeMuth said. "It was really his idea. I never had a lemonade stand before." Christopher set the goal of $100 to buy materials for the stand, including beverage dispensers, cups, straws and other items. As of Tuesday, he had collected $217 through his Kickstarter page. What's more, his product won't be just a simple lemonade -- he's planning to make "artisanal" lemonade. "I want it to be natural and organic," he said. Christopher said his family has "a small garden" with agave and mint he can use in the lemonade, but the other ingredients are "a secret." The young entrepreneur chose the library "because I really like reading books." Cathy Townsend, Christopher's grandmother, is a children's librarian at New Canaan Library. She said she's "very impressed with the way it's all working out. "He has been coming to the library since he was a baby," she said. "I know that they talked about places they could donate money to, but this was Christopher's choice." 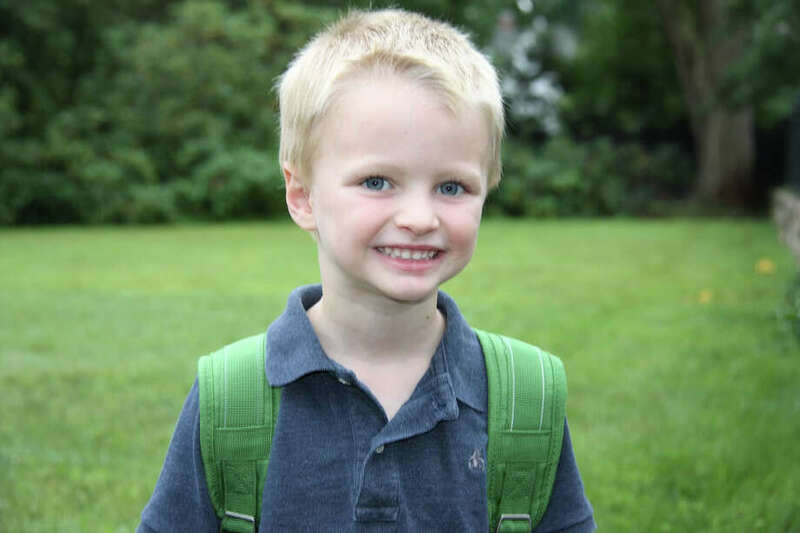 DeMuth, a partner at New Canaan's Rangeley Capital, said Christopher is good in math and "cares a lot about books." "He's interested in supporting other organizations in town. Hopefully, the nature center will be another one in the future." Christopher said he will practice making lemonade with his family before opening the stand on Saturday, Aug. 23. DeMuth said his son would be serving lemonade on Saturday and Sunday until school starts or until it gets cold, depending on business. The stand will be at the corner of Frogtown Road and Weed Street. If the business turns out to be a hit, Christopher said he would consider expanding it. "It's going to stay there until it's successful, and then we'll move around to different places in town," he said. The boy's entrance into the business world happened earlier this year when he started -- with the help of his father -- a portfolio called Lion Investments. Some of the companies he's invested in include Leap Frog Enterprises, Amazon.com and General Motors. "He just kept hearing about people investing in companies," DeMuth said, "and he was curious about stocks and how much stocks are worth. He wanted to have the opportunity to invest." On Christopher's Kickstarter page, people can get a special gift for donating to his business. By donating $2 or more, they get a free glass of hand-pressed citron presse with one free refill; with $200, people get a special drink named after them to be sold at Christopher's stand; and with a $10,000 pledge, donors get the secret recipe to his citron presse. If he does get a $10,000 donation, he said he would invest in his own lemonade business or new ones. "There's a goal to be able to grow bigger," DeMuth said. He noted that his family is excited about the boy's opportunity to launch his own project. "This is Christopher," Townsend said. "When he gets an idea of something that he wants to do, he does it." Asked where he sees his son in 10 years, DeMuth said he hopes Christopher "is being productive and is looking for opportunities where he would have an edge."